It's officially the 1st of December, which means we can finally start with the Christmas festivities. I love the feeling of giving my friends and family something thoughtful, to show them my appreciation. And that is exactly what BUM is. 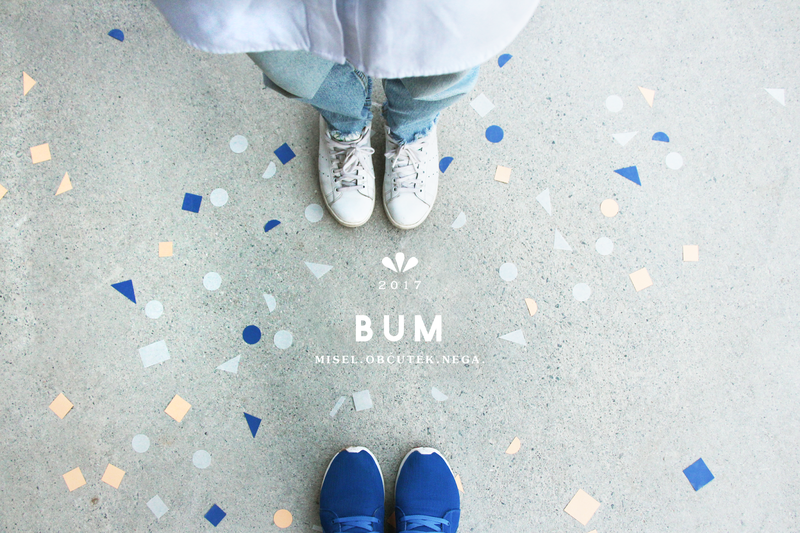 BUM is our new project in collaboration with a small family business Emma. 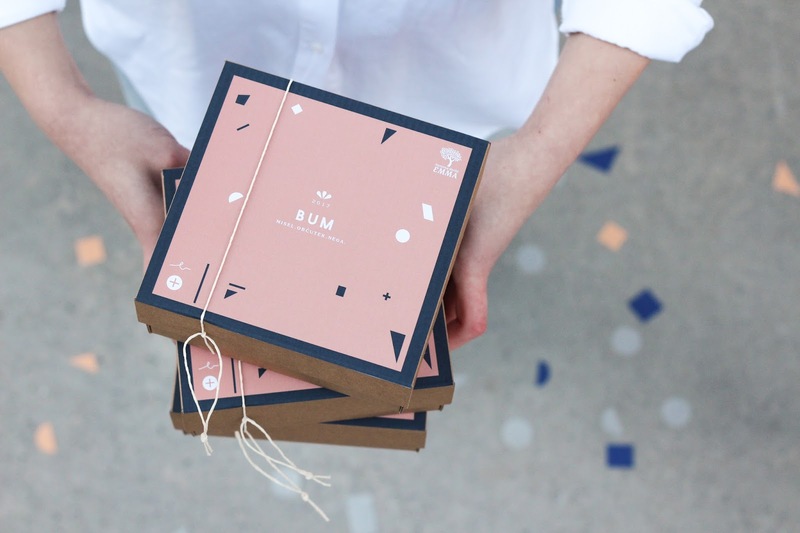 BUM is a thoughtful gift package for the holidays. 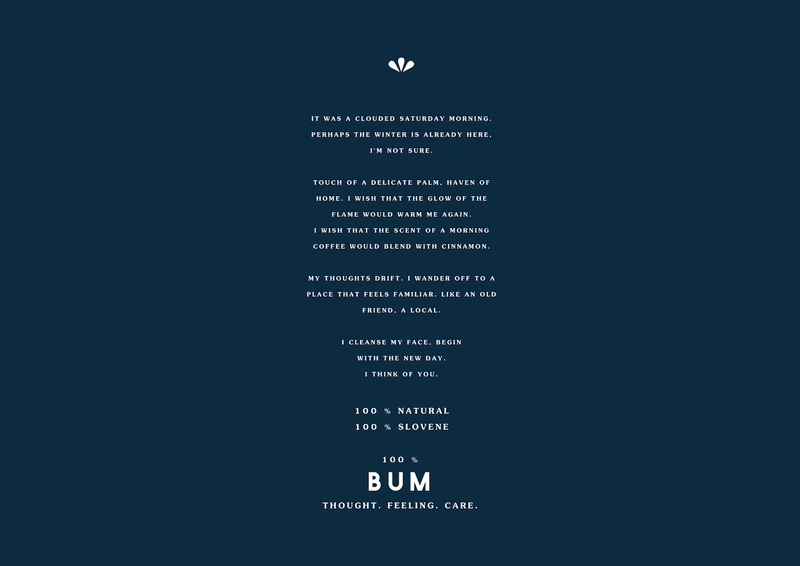 BUM is a package designed for your care and well-being. 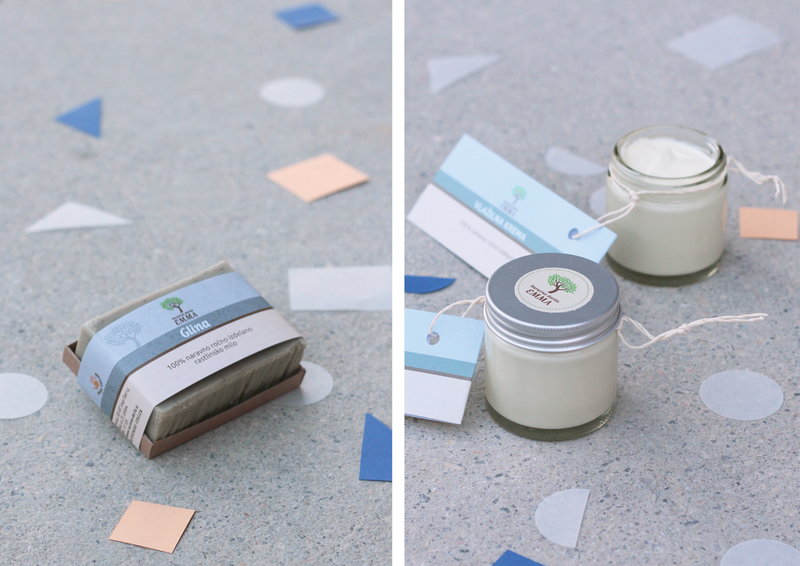 BUM began a few months ago, when me and Klemen decided to create a gift package filled with natural skincare products that would be universal: suitable for ALL our readers. And of course Emma was the perfect choice! Clay is one of my favourite additions to soap recipes because it leaves your skin really clean and refreshed. It's very suitable for combination to oily skin type as well as problematic skin, because it helps combat imperfections. Combined with a good moisturiser this will be your perfect skincare combination. Clay soap has been my "skincare best friend" for years and I'll never replace it! Moisturizing creams can be a really difficult choice if you want to please a variety of tastes. That's why me and Klemen decided to create a great universal cream, suitable for everyone, men and women! It doesn't have a specific scent or colour (it contains avocado and a bit of olive oil), quickly sinks into your skin and leaves it hydrated. You can use it as a face, hand or body cream. Basically wherever you prefer. This was such an easy choice. I mean who doesn't love a good scented candle for the holidays. It smells of cinnamon, cloves and orange, which means I can already smell Christmas! But you can use it throughout the year - if you enjoy the smell of cinnamon all year round, just like I do! Naravna darila Emma is a small family business from Ljubljana. It's a brand that focuses around skincare products with their three main goals: every product is natural, of Slovene origin and hand-made. These products all have a story behind them: a story that is as important as the product itself. I admire them, for how much work they put in these products and I can especially appreciate the fact that they put their customers first. I have been using their skincare products for a while now and I personally couldn't be happier with them. They have also launched their new online shop, where you can choose from their entire collection of products. You can also make your own package and gift it to your loved ones. They are offering a variety of discounts and free shipping throughout December, so go check out their new online shop! Custom-made gift package is the perfect choice for a Christmas gift. It's a universal (unisex) package and can be gifted to anyone, who wants to experience thought, feeling and care. We would like to gift our package BUM to one of our readers. So stay tuned and keep checking our social media for more information!